In February my Son, Anthony, took his lovely girlfriend, Vandi, to Venice for a long weekend, where he propose to her. So I had to make sure I had an engagement card ready for when they got back. I had some Kan ban toppers so I glued some lace ribbon around the heart using cosmic shimmer glue (I love this glue). 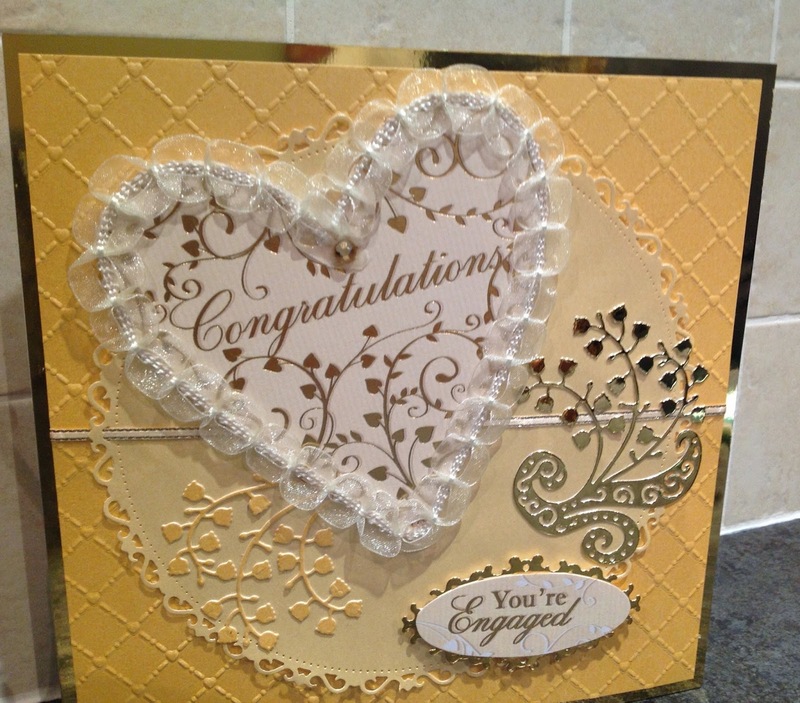 I then layered the card with a large Spellbinder die, tattered lace floral. I then mounted all onto gold mirror card. I think they liked it. Here is the lovely couple, my Son and my lovely future Daughter-in-Law. We had an engagement celebration last week and Vandi wore this wonderful outfit.